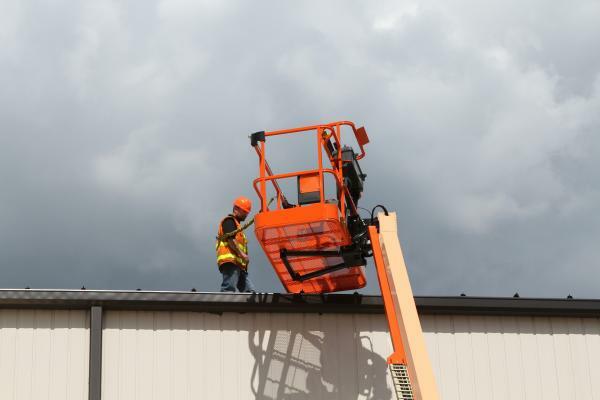 JLG Industries, Inc., has helped operators move safer outside the platform of their aerial work equipment since 2004 with its Fall Arrest Platform. Now the company is offering a new system that bolts on to existing JLG® platforms in the field. This feature allows an occupant to exit the platform at height and step onto adjacent structures while being tied off to an approved lanyard anchor point on the platform. The Bolt-On Fall Arrest System consists of two large steel brackets securing a 6-foot cable with a ring that can move from one end of the cable to the other. Attaching the lanyard to the ring improves manoeuvrability and allows the operator to perform tasks outside of the platform. These systems are ideal for a variety of applications, including aircraft inspection, maintenance and service, roof installation or repair, chimney repair, bridge construction, petrochemical plant construction, inspection maintenance and repair, and steel erection as well as general construction and maintenance. The External Bolt-On Fall Arrest System meets both ANSI A92.5 and CSA B354.4-02 standards and can be installed by a qualified service representative to any 36×72 inch or 36×96 inch platform mounted to a JLG® boom lift. The system is portable and can be moved from one platform to another, does not require a specially reinforced platform and does not de-rate platform capacity. 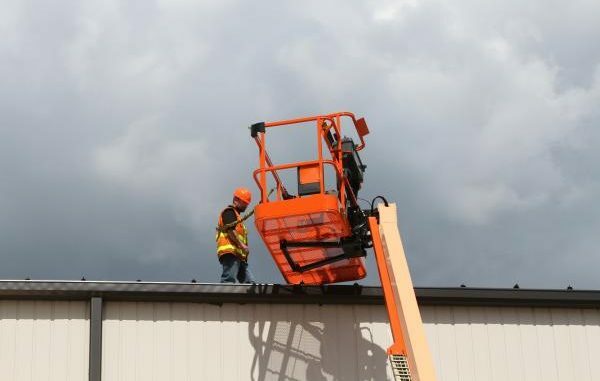 Fall Arrest solutions are available on all new JLG boom lifts and as an aftermarket accessory through JLG parts. To learn more, please visit the JLG website.